A common grammatical error found in writing is that of incorrect subject and verb agreement. In order to understand how these two parts correlate, we need to know how to find them in a sentence. The subject is the main topic of the sentence. Sometimes the easiest way to figure the subject out is to find the verb and then ask what noun correlates with it. Example: The blond girl in my history class is beautiful. If you find the verb (is) and then ask “Who is beautiful?” then you will find the subject (the blond girl). Example: The tutors in the math help center are math majors. If you find the verb (are) and then ask “Who are math majors?” then you will find the subject (the tutors). There can be more than one noun involved in a subject. Example: Gary and his sister are vegetarians. Are is the verb and Gary and his sister is the subject. Note: There aren’t two subjects in this sentence, but there are two nouns that make up the subject. This is called a compound subject. In a compound sentence, finding the subject can be more tricky, because there can be more than one. 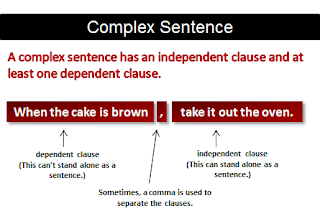 Remember, a compound sentence is comprised of two independent clauses that are combined with a conjunction. Example: Gary went to the gas station, and his sister stayed home. 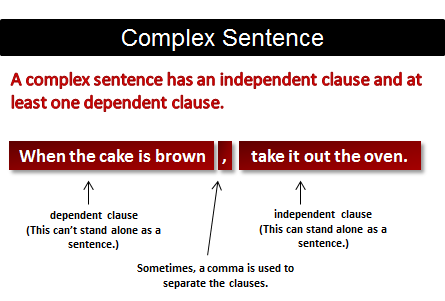 Complex sentences can be even trickier because they are generally longer and contain both dependent and independent clauses. Great essays will have complex sentences, so it is important to understand how to find a subject in these sentences. Example: Maria and I went to the library so that we could write our papers, which were assigned the day before. The last part of the sentence is a dependent clause used to describe the noun papers, but should not be confused with the subject/verb agreement. Sometimes, there will be phrases that come between the subject and the verb. It is important to be aware of these phrases so that you do not confuse them with the noun that should agree with the verb. Example: The man that lives in the house with the green shutters is outside right now. In this example, lives in the house with the green shutters is just used to describe the subject but should not be confused with the verb. 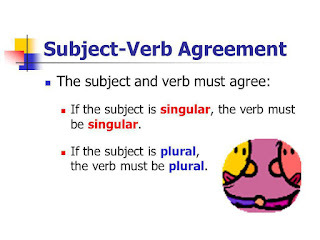 If you can find the subject, then you will be able to make sure that the verb agrees with it, and that is very important if you want to have a grammatically correct essay. Below are some guidelines to follow when choosing the correct verb for your subject. When two or more singular nouns or pronouns are connected by or or nor, use a singular verb. When two or more singular nouns or pronouns are connected by and, use a plural verb. Example 1: Sally or Kevin has the secret password. Example 2: Sally and Kevin have the secret password. When a compound subject contains both a singular and a plural noun or pronoun joined by or or nor, the verb should agree with the part of the subject that is closest to the verb. Example 1: Sally or the other employees have the secret password. Example 2: The other employees or Sally has the secret password. The following subjects should be used with a singular verb. When a sentence begins with There or There are, then the subject follows the verb. Example 1: There are hundreds of birds on the beach this morning. Example 2: There is a bird on my windowsill this morning. Below is a list of collective nouns that imply more than one person are considered singular and should be used with a singular verb. For an exercise to improve your subject/verb agreement skills, visit this site. Have you tried the FREE PaperRater automated proofreader? Really? Why not?